vEPC helps CSPs transform their network architecture in order to move to SDN/NFV, reducing overall costs. Providers of virtualized network solutions have to create a market differentiator to assert their position successfully in an increasingly competitive marketplace. 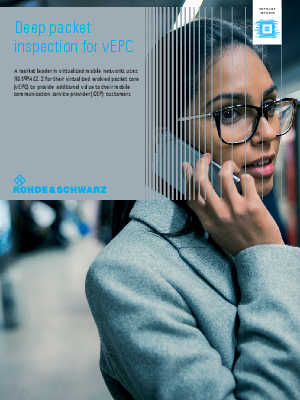 The strong partnership between the vEPC vendor and Rohde&Schwarz ensures the high performance of the vEPC solution. Sourcing R&S®PACE 2 guarantees a rap.